Home Health & Beauty Fairness Creams- Faking the truth?? Diving into the hot debate on the popularity of #Fairness creams in India we thought the best person to decode the truth behind this multi-million industry is to seek an expert opinion. Also the truth behind the current viral trend of all natural or ayurvedic fairness creams. We have exclusive fact sheet by Dr. Chetna Ramchandani, a leading dermatologist and skin care expert at SevenHills Hospital giving her expert opinion. Myth#1 - Fairness creams can guarantee you fairness! Fact#1- No fairness can guarantee you fairness without side effects. Myth#2- Fairness creams contain no harmful chemicals! Fact#2- Most of the fairness creams contains bleaching or exfoliating agents. Myth#3- Fairness creams are all natural without steroids! Fact#3- Commonly fairness creams contains a varying degree of steroids and hydroquinone (extremely harmful chemical). Myth#4- Melanin is a bad pigment and only causes skin darkening! 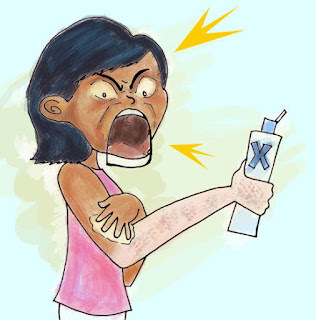 Fact #4- Fairness cream kills the melanin in the skin. Not all melanin is bad! It's a natural pigment present in the skin that prevents from harmful UV rays. Myth#5- Only fair skin is health! Fact#5- Not at all! The focus should shift from achieving #fair skin to healthy natural beautiful you.